Home » Blog » How do you deal with aggressive drivers? Published on Apr 24, 2017 at 9:18 pm in General Blogs. In our post last week, our blog began discussing the topic of aggressive driving, namely how it’s defined by the National Highway Traffic Safety Administration, who is the most susceptible to engaging this behavior, and why it’s so exceedingly dangerous. Having established this important information, today’s post will delve deeper into this topic by exploring how the law in Maryland takes a very dim view of aggressive driving, and how to avoid encounters with aggressive drivers. What does the law in Maryland say about aggressive driving? How is aggressive driving punished in Maryland? The punishment for aggressive driving is a fine of $370 and five points on the motorist’s license. How can a person avoid or even just minimize encounters with aggressive drivers? 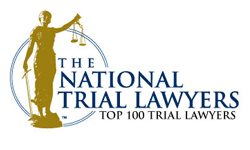 Above all else, consider speaking with an experienced legal professional to learn more about your options if the dangerous actions of an aggressive motorist have caused an accident that has left you or a loved one with serious injuries.